William D. Gates founded the American Terra Cotta Tile Works in Terra Cotta, Illinois near Chicago in 1881 and established a base producing terra cotta bricks, architectural tiles, pottery, and other utilitarian goods. The Teco Pottery line was first designed in 1885 but was not commercialized until 1902, influenced by the American Arts & Crafts Movement and the angular Priarie School architecture. The most recognizable feature of Teco Pottery are the typically geometric, angular shapes and produced in styles that the public had never seen before. 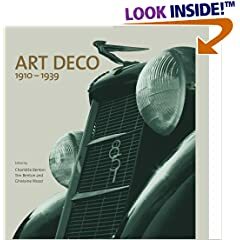 Forms were architectural in flavor, and some Teco pieces resembled the modernist Art Deco buildings which were being erected during the latter years of Teco production. While most designs were produced by Gates and his designers, they also accepted designs from Chicago Architectural Club members including Frank Lloyd Wright. Teco expanded rapidly into new lines, and by 1910 they were producing over 400 unique designs albeit with the common design influence of its origins. While many different glaze colors were used, matte green glazes were the most common and were reminiscent of those of the Grueby works. Teco experimented with overglazes as well, adding flair beyond the basics of the matte green glaze and introducing some of the most interesting yet subtle glaze effects of the early 20th century. While green predominates, Teco also produced works in pink, blue, maroon, yellow, and brown and were always of the highest quality and richness. Teco continued producing art pottery until finally suspending operations in 1930, producing in all over 10,000 shapes that still today command some of the top prices for early 20th century American art pottery. 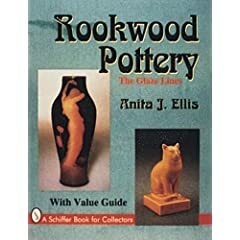 Buy period Teco, Weller, Roseville, Rookwood, and other finer art pottery on the Collectics Pottery and Fine Antiques pages, or search the entire site for great antiques, collectibles, and crafts for every collector!